Hi, I’m interested in Brick Tiles / Cladding. Please contact me. Thanks! We offer a wide range of maintenance free Tiling Bricks suitable for exterior or interior applications. 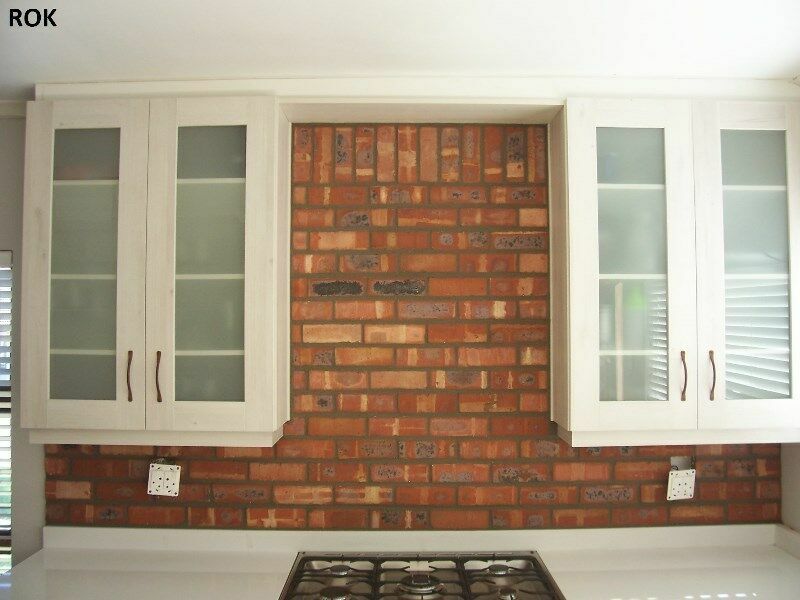 We can also make Brick Tiles to match existing brick-work if you are extending your home. Make a statement and have a feature wall in your lounge or kitchen! View our Facebook page for many more example photographs. I have 80 slate tiles for sale - dimension: 20 x 20cm, new condition. OFFERS? Beautiful items for your home for sale - owner relocating. Everything in excellent condition. Let us help you stay dry this rainy season!!! Don't use the frames or got as an gift and don't have a use for it. The other stuff don't fit into my dexor anymore. Make me an offer on the items that you want. EASY SHELVES. Great for garages, kitchens, offices, shops. Factory prices. We also make excellent quality furniture - made by a German Master carpenter. Look at our website www.edentimber.co.za or our Facebook page Eden Timber. Please mail / call during office hours.